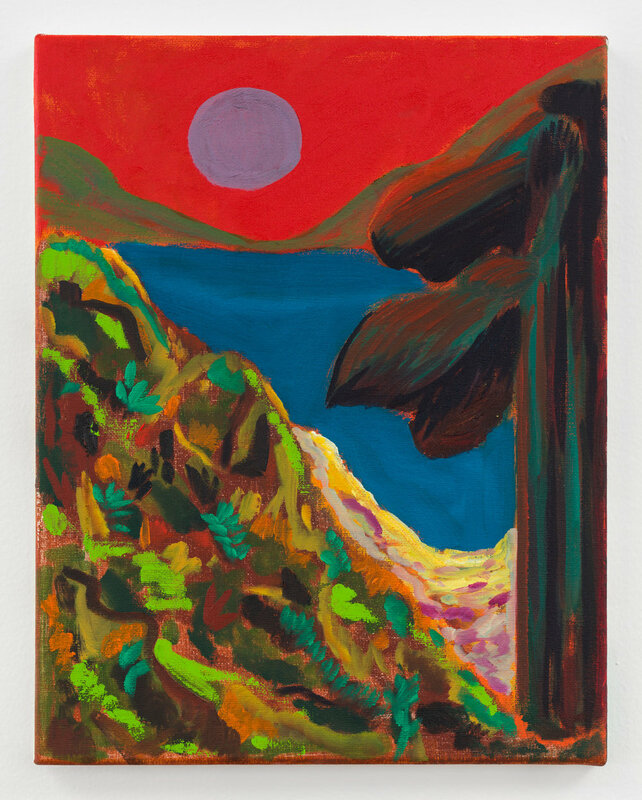 Shara Hughes (b. 1981, Atlanta, GA) earned a BFA from the Rhode Island School of Design in 2004 before studying at the Skowhegan School of Painting and Sculpture. Recent solo exhibitions include the Newport Art Museum, Newport, RI; Gallery Met at the Metropolitan Opera, New York, NY; and the Museum of Contemporary Art of Georgia, Atlanta, GA; among many others. The artist was included in the 2017 Whitney Biennial in addition to numerous group exhibitions at venues such as MASS MoCA, North Adams, MA and the High Museum of Art, Atlanta, GA. Hughes’ work belongs to many prominent museum collections including the Dallas Museum of Art, Dallas, TX; the Denver Museum of Art, Denver, CO; the High Museum of Art, Atlanta, GA; the Jorge M. Perez Collection, Miami, FL; the Metropolitan Museum of Art, New York, NY; the Museum of Contemporary Art of Georgia, Atlanta, GA; the M Woods Museum, Beijing, China; the Phoenix Art Museum, Phoenix, AZ; the Rachofsky Collection, Dallas, TX; the Si Shang Art Museum, Beijing, China; the Smithsonian American Art Museum, Washington, D.C.; and the Whitney Museum of Art, New York, NY; among others. In May 2018, Hughes completed Carving Out Fresh Options, a large-scale mural in Boston, MA commissioned by the Rose Kennedy Greenway Conservancy in partnership with the deCordova Sculpture Park and Museum. Hughes lives and works in Brooklyn, NY.